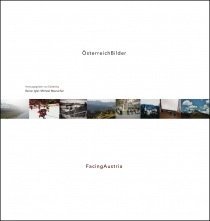 20 photographers, men and women, have photographed Austria. Their photos reveal a diversity of imagery and themes − urban settings, landscapes, work, politics, the arts, and sport − a country mirrored through contemporary photography. Edited and curated by: Rainer Iglar and Michael Mauracher.